We all love traveling. Sometimes I think traveling is one of the activities that somehow connected to our soul. The travel process energizes the body and mind. It gives you wing to fly in the cloud. It feels great to view the scenery, meet unknown people and experience the things which you have never experienced before. You get the chance to make a close connection with nature. It is one of the beautiful realities that you will never get to sense anywhere else. Additionally, traveling becomes fun when it is filled with full of surprises. A place that you are planning to visit might have many hidden secrets that you might not aware about. When you reach there, you might get to see various kinds of activities in which you can participate. The world has many tourist places that are known for activities. You can read about it online before going there and decide which one you want to experience. The only way to make your travel more exciting is participating in the different kinds of activities that boost your enthusiasm. The memories will be locked forever in your permanent memories. Whenever you recall these memories, you will feel charge up to take the next trip. 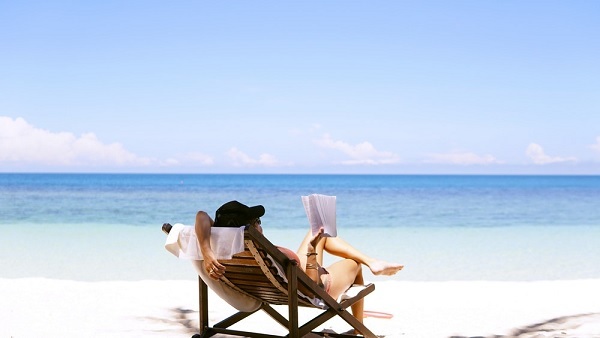 When it comes to planning your holiday, people sometimes choose for leisure time on vacation. However, it is recommended to mix holiday plan with little fun activities. Adding a thrill to your holiday may help you to make the planning more exciting. People who just go with the ordinary holiday planning do not find any exciting stuff during the holiday. There will be no new memories recorded, even if you had a great time, there will be no such thing that worth to remember. After a few years, you’re all travel memories will be lost and you will not have anything to share. Photography is a great hobby that you can develop during your holiday. Take the digital camera and start taking the pictures. Store each view that you are experienced in the digital pictures. This picture will become the source of your memories that will last longer. Even you can use your smartphone to record videos and pictures. Collect as many photographs you can and create an album. Pictures of beautiful beaches look awesome in all kind of conditions. Take the pictures on the beaches. Additionally, you can learn about local sports during your travel. Many tourist places organize the training season in their place. You can find a local organizer where you can register yourself and take the benefit of new sports learning. Many local sports are great to enjoy the travel time. You will get to meet different people and learn something new during the travel. Moreover, bungee jumping, river rafting, kickboxing, underwater diving are some of the famous activities that you can try in your holiday time. Make your holiday full of enjoyment and fun at http://patongsawaddi.com. When you come back to your home, you will see a big change in your thought process. You will take wise decision in your life. Your past holiday season will keep you energetic all the time. People you meet will see the change on your face. Try yourself and see the difference in your attitude.